Eid Muabarak to RealTimeTricks readers. This Eid we have bring a collection of 10+ tremendous wallpapers to download. Enjoy your Eid with all your relatives and fill your desktop with these cool 10+ Eid Mubarak Wallpapers. Eid, is a Muslim holiday that marks the end of Ramadan, the Islamic holy month of fasting (sawm). Eid is an Arabic word meaning “festivity,” while Fiṭr means “breaking (the fast)”. The holiday celebrates the conclusion of the twenty nine or thirty days of dawn-to-sunset fasting during the entire month of Ramadan. The first day of Eid, therefore, falls on the first day of the month Shawwal. We (indians) all knows, how anna hajare is fighting against cooruption in india today. Almost ten days are over and anna hajare is continue with his anshan against cooruption. Well, taking all this aside Geek Mentors Studios have developed a game called “Angry Anna”. You can now play Angry Anna Game online, it is almost similar to the world famous game Angry Birds. Angry Anna Game is based on the fighting against corruption in indian system. Angry Anna Game is totally free, you will not be charged a penny for it. Geek Mentors Studios have given a big support in anna’s anshan movement by developing this game. Below you will find few screenshot and also a video of me playing Angry Anna Game. Hope you have enjoyed the game? Please let us know your thoughts in comment. Today is August 15, our country India got freedom from Britishers this day. A special day for this country, a very special day for those who lives in India, and so a very special day for all RealTimeTricks readers out there, we have came with an introduction of Gandhiji Font which you can download this independence day in your computer. This independence day you can bring Gandhiji Font in your computer to give your writing a Gandhiwadi look (No explanation need for this term). Typographers from Leo Burnett have created this marvelous Gandhiji font in Devanagari, but now it’s is available in English font too (thanks to the team). You can Download Gandhiji Font from here by clicking on the link given. Being in touch is required for the promotion of this great Font so I’d recommend everyone to join them on Facebook and be a part of the ‘change’ they are trying to bring in or Enjoy Gandhiji font differently by using this unique applications – A must developed application for mobile users. We all use torrents to download stuff online from internet, but as by default you didn’t get the amount of speed you required generally from internet provider, you usually afraid to run any download process that is more that an hour long. But how about if you increase torrent download speed? Here in this tutorial I’ll suggest you the way from you can increase torrent download speed. Suppose right now you are getting around 60kbps download speed this tutorial will help you increase it to 240kbps or just triple! Read the below tutorial carefully, you need a cheat engine software (free) and of course utorrent (free) to test the download speed. By using the cheat engine you can triple or sometime quadruple your download speed. Update: This trick is not working now! First go and download – Cheat Engine Software. Once you finish with the installation of this software, open your utorrent and get ready for speedhack. With utorrent opened, open the cheat engine by clicking on desktop icon or from all programs menu. Now you can see one “computer like icon” blinking in red and green color on the top of the software. Open it and scroll to chose “utorrent” process, click open. Again do the same step, open the same computer like icon but this time you don’t need to scroll and select utorrent as utorrent is already selected, and click on “Attach debugger to process”. It will ask you to press Yes or No, on one notification message, click on Yes. Now back to the software and click on “Enable Speedhack” check box. Now make the speed limit to 0.5, and click on apply. Now simply wait and watch, your speed goes on and on increasing till 250kpbs. Remember you neither close the cheat engine (but can minimize it) nor the utorrent. Tip – Make the speed limit to 0.1, if you’re not getting more then 180kbps speed, you will get more then 500kbps. I know you have enjoyed the trick, now please feel free to comment below if anything don’t help or you don’t get the trick. Comments are welcome! Please do share this article if it may have helped you in any way! Also Like – Facebook & Follow us – Twitter to get connected. Thanks to suresh peter for the amazing trick! Children’s have lots of questions in their mind to ask and the best platform Yahoo Answer is providing them, lately while I was surfing around I saw few of them questioning on yahoo answer, how to, download music to ps3 and unfortunately none were answering the right way. Here is my post on ps3 music, to make it simple and easy you need to follow few simple steps. Like all other device, transferring music from hard disk to ps3 is also simple. First collect all your favorite songs you want them in your ps3 in one place. Now connect your flash drive with the desired music to the USB port on your PS3. One screen will appear it will show you all the music you copied earlier to your flash drive. Highlight all the files you wish to copy over to your PS3 and then hit the “triangle” button to open up the next menu. Pressing “copy” can transfer all the files you selected to your PS3. Hope this article help those people who are asking on yahoo answer about the most easy steps to download. Let me know in comment how this tip help you in downloading music to PS3. Earlier I published easy steps to convert YouTube video into MP3 and how to cut specific pasrt of online video, this time I’ll tell you how to download YouTube videos using Clip Converter Online. The need of software to download online videos is, you can specify the parts you want to download from the video in any common format your gadget requires. And for all this you don’t required any installation, everything is done online. Okay! Now go to Clip Converter its a free online media conversion application (software), which let you convert nearly any audio or video URL (YouTube, MySpace, etc) to common formats. You just required to enter the URL from any media page like for example YouTube, firstly this application will detect the media file. Then afterwards clip converter grabs the media file to its servers. There it will be converted to the choosen format and finishing the conversion you are able to download the file. As you can see on the above screenshot, this application gives you Conversion Option which I guess will very be effective in adjusting the, Audio Volume, Video Resolution and the most interesting from where to start the video and where to end the video. All this features are for free, you can use it whenever you want. And, if you still feel going out from your media page and opening a new address for this application is boring, then clipconverter have addons for three common browsers, FireFox, Chrome, Safari. 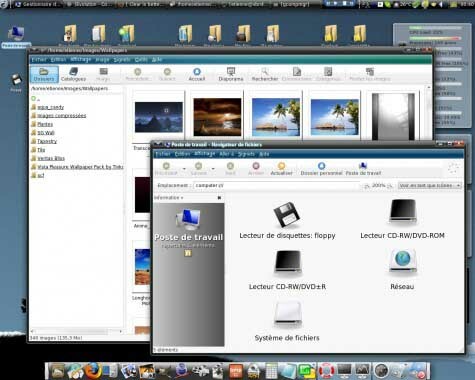 For last one year I am using Vista Mizer to give a new and improve look of Windows Vista in my old OS, Windows XP. Usually, I don’t change my OS but I do change themes on it, to not to get bore with it. 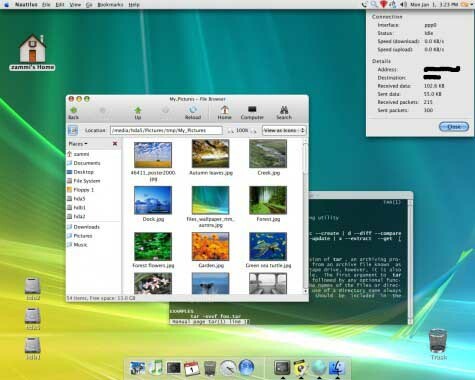 Last night I was searching for few good themes for my operating system but unfortunately I got a collection Free Ubuntu Themes in which I selected 10 best free themes you must download in 2011. 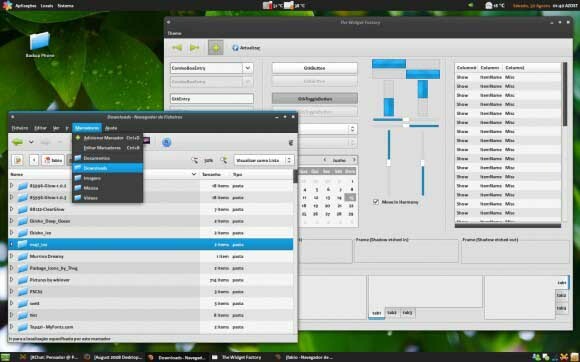 People search and get confused with which theme they should install, so in order to make it easier for you people I compiled 10 best Ubuntu themes to download for free. Hope one of the above themes is now installed in your system. Please tell us in comments if you like my collection of 10 Free Ubuntu Themes. 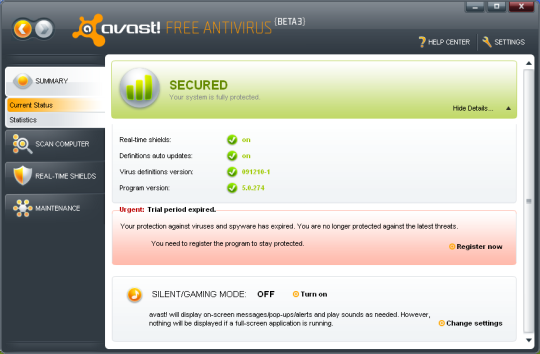 Few prefer to install free Antivirus Software were few want paid protector to protect system. Therefore, according to Microsoft here are the best free antivirus list. AVG – AVG Free provides the bare necessities when it comes to security, but that should be enough for savvy Windows users. You’ll get a combined antivirus and antimalware engine, LinkScanner, and e-mail scanning. AVG Free 9 introduces a few new features, with improvements focused on performance, including claims of faster scan and boot times. One new feature is the Identity Theft Recovery Unit. Only for users in the United States, ITRU is a business partnership with Identity Guard which provides “consumer identity theft solutions,” accessible only from the AVG toolbar in Firefox and Internet Explorer. AVIRA – Avira’s AntiVir has been a player in the security world for some time; however, in 2008 its status boomed because of its remarkably strong detection rates. It still remains near the top of independent antivirus efficacy tests, but while the 2009 version more or less kept pace with the competition, the 2010 edition isn’t quite as good as it could be. Bitdefender – Confidently download, share and open files from friends, family, co-workers – and even total strangers. 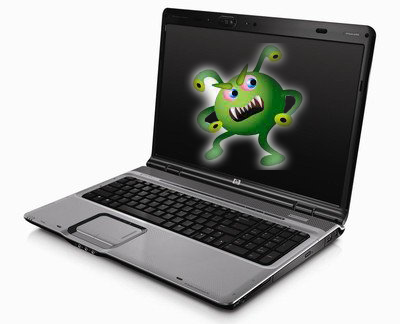 Protects against viruses and other malware using industry-leading technology. Scans all Web, e-mail and instant messaging traffic in real-time. Provides an unmatched detection rate of new threats based on two different proactive technologies. Blocks spyware programs that track your online activities. Protect your identity: shop, bank, listen and watch, privately and securely. Blocks web pages that attempt to steal your credit card data. Prevents personal information from leaking via e-mail, Web or instant messaging. Guard your conversations with top-of-the line encryption. Trend Micro – If you’re looking for a robust feature set from your security suite, and you want an affordable price, you could do worse than Trend Micro’s 2010 products. 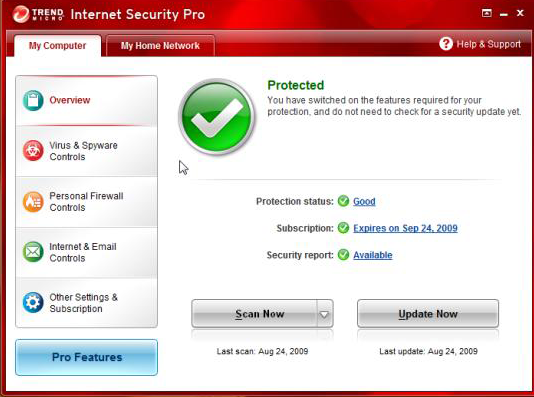 Trend Micro Internet Security Pro, Trend Micro Internet Security, and the stripped-down Trend Micro AntiVirus plus AntiSpyware have been refreshed, with the publisher claiming significant performance enhancements to each. Norton – Norton Antivirus 2009 is available as a full-function download, free for 15 days. The Download Now link will direct you to the developer’s site where you’ll be asked to provide your e-mail address to download a file. Nod32 – As far as reputations go, ESET’s NOD32 is practically unimpeachable. Version 4 of the popular and effective antivirus and antispyware builds on that rep, emphasizing its community-sourced ThreatSense for preventing attacks before they occur, a slick interface, and some of the highest independently-tested detection rates married to low rates of false positives. Kaspersky – Kaspersky Anti-Virus does a better-than-average job of keeping your PC safe, but it lacks the robust feature set of its more-expensive sibling. Several new features have made it into this version along with expected upgrades to the anti-virus engine, but one of the best–the Safe Run program sandbox–is sorely missed. 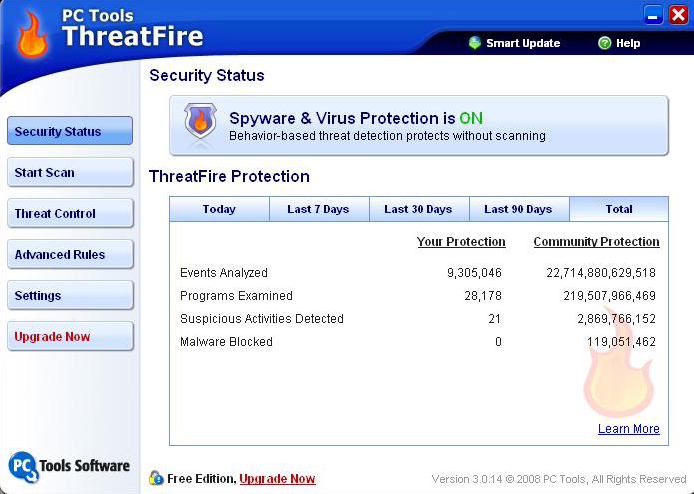 ThreatFire – ThreatFire offers real-time prevention of virus and malware infections by identifying suspicious behavior (“zero-day” events) as it happens, before malicious code installs itself on your PC. Formerly known as CyberHawk, ThreatFire has made some dramatic and noticeable feature improvements since it was bought by PC Tools. You don’t have to worry for any type of viruses in your PC if one of these antivirus is with you, choice is yours which one you’ll select to fight from viruses in your PC.